There is a good reason why property owners in San Antonio—and thousands across the country—turn to Real Property Management offices as their first choice: we have revolutionized property management in a way that delivers a more reliable, scalable, professional and technology-driven management platform that results in a better return on their investment. Filling a vacancy takes time and effort! Because of the number of steps and the time each takes to do properly, most DIY landlords (and some not-so-professional property managers) take shortcuts to save time. The consequence can easily be a problem tenant who does not respect the property or rent obligations. In the long term, saving time during the rental process can result in many more hours of hassles in the future. At Real Property Management Alamo, we don’t take shortcuts. We have learned from a brand with 30+ years of experience that it’s a bad practice that dramatically increases a San Antonio property owner’s risks. As the nationwide leader in property management, we have implemented a proven leasing process that shortens vacancies by finding reliable tenants more quickly. We act quickly to help the owner prepare the home for rental, also referred to as getting the home “rent ready.” This includes professional re-keying, lock box installation, and guidance on any repairs or improvements that may be needed to help your property rent faster. We assist you in determining the best rate to lease your home that is appropriate for the property and market. A professional evaluation with local expertise is essential to help you decide on the best rental price for your property and will aid in getting it rented as quickly—and profitably—as possible. We advertise the rental aggressively with a proprietary marketing strategy that includes advertising across dozens of the most visited rental sites, including our own, and several other local outlets to attract more qualified applicants. We answer inquiries from prospective renters on demand, and we utilize information-enabled yard signs to allow applicants to call or text for more information, 24/7. We collect applications from as many potential tenants as possible, so you are assured of the best-qualified tenant possible. We screen applications with expedited, yet thorough, background checks on every potential tenant over 18 years old, including criminal, credit, employment, and rental history. This is very important, as well-screened tenants are more likely to stay longer and help you avoid costly turnover down the road. We work with the client to select the best possible tenant from the applicants based on the screening process. We manage lease signing and move-in, setting expectations clearly and attending to all the details. Throughout the entire leasing process, we provide unsurpassed service by our experienced team of experts, with weekly leasing updates, an information-packed online portal, and first-class customer service. A tested, efficient leasing process protects your cash flow while saving you time and headaches. You can rely on Real Property Management Alamo for shorter vacancies, more reliable tenants, longer lease terms, and your own team of experts to support you every step of the way. Have you ever wondered why some property owners/managers require personal information such as credit reports and a personal background check on ALL potential tenants over the age of 18, and some don’t require much at all? Why do some landlords require references, personal and past landlord information and even request income verification while others are more relaxed and satisfied with just meeting you? Often it can be a tell-tale sign of the difference between a DIY (do-it-yourself) landlord and a professional property management company. Through screenings of prospective tenants can help avoid problems in the future such as late rent, damage to the property and evictions. And as our survey on landlord practices shows, some landlords may be putting themselves and their neighbors at risk with their lax tenant screening practices. Is it any surprise that unqualified tenants often seek out landlords who don’t screen properly? Did you know the average lost income from a vacant 3-bedroom single family residence is over $40 a DAY? That’s why filling a vacancy is imperative—but you also want the best possible tenant. When a San Antonio rental home is not ready to be shown, or the rent is set too high for the market, it delays the leasing process, turns off prospective tenants, and hurts your cash flow. It is critical that your property is ready to make a good impression. Real Property Management Alamo successfully leases homes month after month and we have perfected the “rent-ready” process to ensure the home is leased quickly. When you follow these simple steps, prospective tenants are more likely to see your San Antonio rental property as a place they can call home. Assess the property’s “curb appeal” from the street as if you were a potential tenant—an unattractive first impression can prevent prospective renters from ever viewing the home. Walkthrough and note needed maintenance and repairs, especially safety and security items, but cosmetic issues as well. Running or leaking plumbing, broken windows, mold, ineffective door locks, etc.—all put you, and your tenant, at risk. Re-key the property to prevent safety concerns, protect you from liability, and ensure simple, secure access. This is also required by law in many areas. Check appliances to ensure they are in working order, clean, and provided with new filters—the water heater, air conditioner, and Also ensure that smoke and any other detectors as required by law—carbon monoxide, radon, etc.,—are in place and working with fresh batteries. If REMODELING, cleaning or major work is needed, don’t market and show the property while under construction—it’s difficult for tenants to see what a home might look like. Remove any personal belongings anywhere on the property [attic, crawl space, garage, storage shed]. Anything you leave behind can expose you to liability. Paint any non-neutral colored walls a neutral color. Do not touch-up—paint completely, and do not leave paint behind for tenants to use. Remember to keep utilities on until the tenant moves in. The goal is to create a home the prospective tenant can happily imagine themselves living in—so don’t leave them in the dark! Make sure the home is well-lit and a comfortable temperature. Upkeep the property during a vacancy, including lawn care, landscaping, watering, pest control, and routine weekly cleanings. Install a lock box. This allows leasing agents to securely show the property to prospective tenants while reflecting professionalism. The property remains secure, yet accessible. Determine an appropriate rent amount for the market, area, property condition and type so you quickly attract a sufficient number of interested applicants. Overly high rent rates will result in a longer vacancy time, which can quickly eat away at the profit you are striving for. The more attractive the property, the easier it is to lease it quickly to the most reliable tenant possible. If you need assistance getting your rental home “rent ready”, the experts at Real Property Management Alamo can help you do more for less—faster. Maintenance is a necessary expense in property management, and the return on your investment can be negatively impacted without timely, cost-effective repairs and upkeep. In the end, you’ll save time and money and ensure repairs are done in a professional manner, by using trustworthy maintenance personnel. Maintenance is an area where landlords can easily waste LOTS of time and money because they don’t know the fastest, easiest, and most cost-effective solutions. Real Property Management Alamo has extensive experience and networks of professionals to solve every maintenance issue imaginable. Maintenance issues will inevitably come up if you own a San Antonio property. 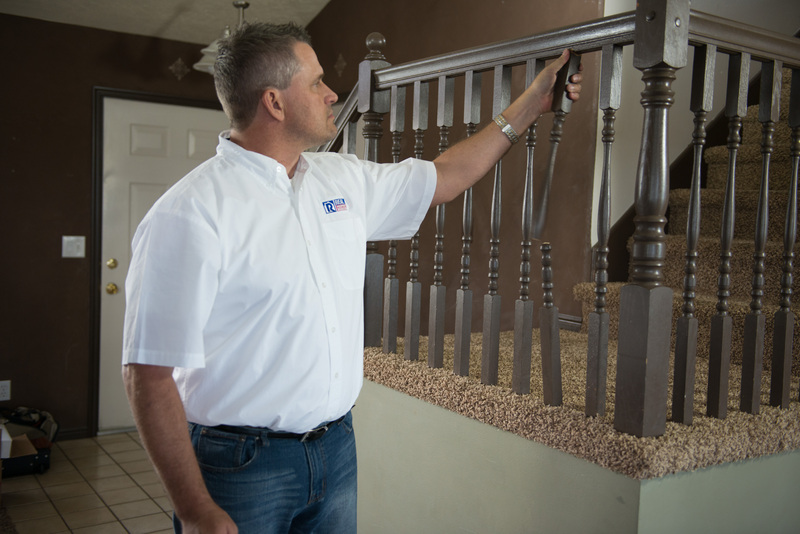 We solve maintenance issues quickly and economically and handle them for the property owner, so they can spend that time with their families, relaxing or at work. As part of a national brand, we access an extensive network of contractors, vendors and in-house staff to handle property maintenance and repair work. In addition, partnerships with national and local vendors provide professional equipment and services and assists in minimizing maintenance issues. Professional inspections of your property, both inside and out, help ensure tenants are complying with the terms of their lease and to assess property conditions. Our office conducts move-in, periodic, and move-out inspections. 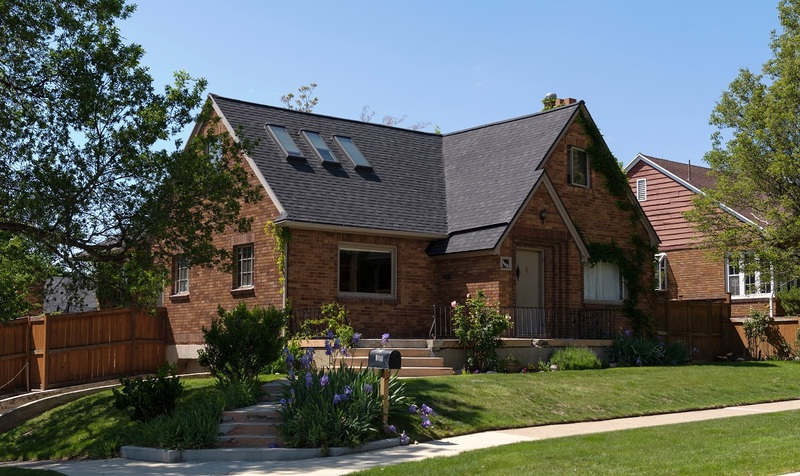 Documentation and photographs from these inspections assist in determining necessary maintenance and repairs to maintain your home’s value and avoid more costly repairs if left unattended. 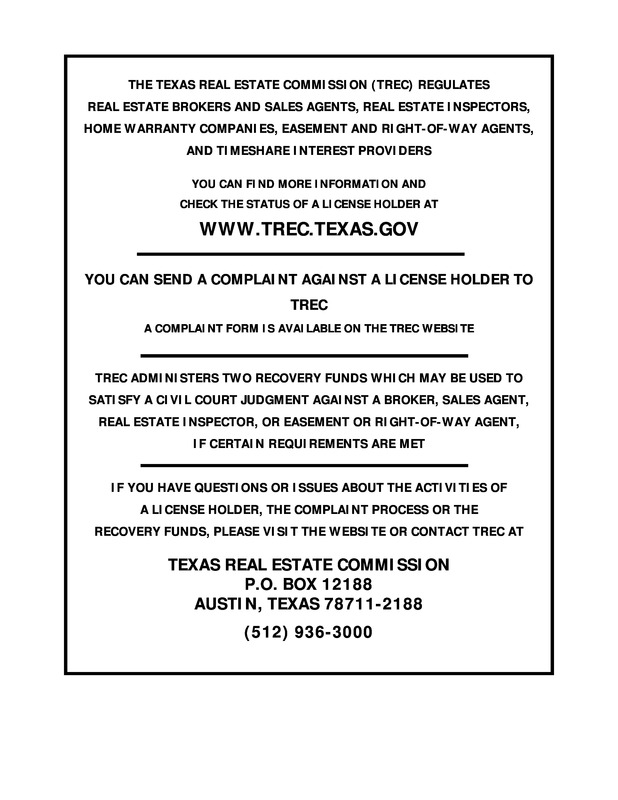 Inspections also assist in resolving tenant issues that may potentially arise in the future. For single-family homes, the tenant is generally responsible for changing filters on your HVAC systems every 90 days, complete periodic pest control as needed, and replacing light bulbs and batteries in smoke detectors as needed. They should also maintain the lawn & landscape, including flower beds, shrubbery, and shrubs, which may include weeding, mowing, edging, and trimming. Finally, depending on where the property is, tenants may also need to take care of snow and leaf removal. The property owner or manager needs to repair any problem with the property that isn’t caused by a tenant or guest, or that materially affects the physical health or safety of an ordinary person living there. This includes things like heating and cooling systems, water leaks from structural defects, and water heater repairs. Real Property Management Alamo is available 24/7 for emergency response. We will take the 2:00 a.m. phone call, not the property owner, which allows our customers to sleep through the night without interruption. Most landlords want it both ways: They want their tenants to stay long-term, pay on time, and take care of their property. Yet too many avoid necessary maintenance in an effort to save money. The fact is, tenants, stay, pay and are more careful with a well-maintained property. They respect the property when they see that the owner does, too. Take it from the nationwide leader: no matter how ideal the tenants, appliances break, systems wear out, and little things will need attention. But here’s the good news—you can maintain your rental property more cost-effectively. Prepare the property between tenants to take care of all safety and health issues. As the property owner, it is your responsibility to meet basic habitability standards and codes, so you protect yourself from fees and lawsuits. Clean, well-maintained home with good curb appeal rents more quickly. Plan for maintenance costs—it’s simply part of owning rental property. On average, property owners will need to set aside 1-2 months’ rent per year to allow for ongoing routine maintenance and make-ready costs when tenants move out, and even more, if the home is older. Check proactively to catch problems that can become more expensive if left too long. Seasonal maintenance and regular property inspections—inside and out—help you solve small problems before they escalate. Respond promptly when maintenance is required. It reduces risk and liability, plus your tenants will feel valued when you respond to their needs. Tenants get frustrated quickly when they have a hard time contacting, which can lead to expensive tenant turnover. These simple steps can help you have the best of both worlds—happy tenants that stay and pay, and a more cost-effective maintenance bill. With almost 30 years of experience, the experts at Real Property Management offices have streamlined the maintenance process to reduce costs, ensure quality, and continually communicate with you, the property owner. 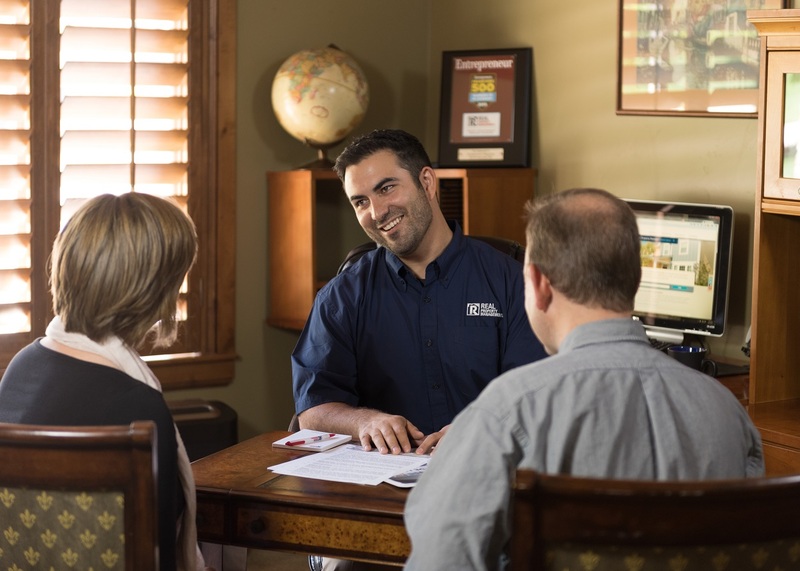 When you entrust the management of your rental property to Real Property Management Alamo, you’re free from the day-to-day hassles and headaches of dealing with tenants. You won’t have to fret over regulations, handling all the details, and stress over all the time and attention all these activities take from your personal life. However, you still want to keep informed about what is going on. For more than 25 years, Real Property Management offices have kept the lines of communication open with our clients. Our clients love their online owner portals, where they can review almost every detail about what is happening with their property, 24 hours a day, seven days a week, from anywhere in the world. The vast majority of offices allow clients to view their financial statements, see when rent has been collected and disbursements are made, check tenant rental payment history, review work orders, and even see property photos from the last inspection. When a client’s property is in the leasing process, they can expect weekly updates from their leasing agent on showings, and applications. We also are available to discuss the preparation of the property, offer recommendations on rent rates, and review leasing strategies. And remember, communication goes both ways. Immediate attention to some maintenance issues is required by law, so it’s critical that we know how to reach you in an emergency. You never know what you’ll find behind the door when you invest in real estate. But taking preventive measures, including professional inspections and property surveys, can limit messy situations for property managers, owners, and tenants in the future. At Real Property Management Alamo, we are here to advise you in every way we can with your investment properties, and to take care of the dirty work of the day-to-day issues that may arise in property management. When you own a San Antonio rental property, it all comes down to rent. You need it paid, and you need it paid on time. Easy, right? You get the check on the first, it clears, and voila! You’re in the clear. But it doesn’t take long for most property owners to realize collecting rent is rarely that simple. Tenants are offered a variety of ways to pay rent and have incentives for paying rent on time, so you can get your money as quickly as possible. In addition, we treat each tenant respectfully and fairly, as a positive relationship with a tenant leads to timely rent payments as well as better care for your property. It’s awkward to deal with tenants’ stories about why their rent is late. It hurts your bottom line and causes you undue stress. Put a layer between you and your tenant with Real Property Management Alamo who ensures your rent WILL be collected on time without you taking time away from your life! We start at the beginning by screening tenants rigorously in an effort to avoid problems down the line. We set expectations with tenants early, communicating our firm-but-fair rent policies up front. We rely on our technology-driven platform which allows tenants to pay online. Funds are then electronically deposited directly into the owner’s account via ACH. If rent isn’t paid on time, it triggers our automated collections process so not a moment is wasted. Our respectful-yet-tough team acts like clockwork to enforce the lease and avoid delays. We stay up-to-date on the current laws and regulations, so we can act as quickly as the law allows and minimize rent-free days if an eviction becomes necessary. We keep the process professional, not personal. When you have set expectations with tenants early, clearly and respectfully, the outcome is in their hands. Stop spending time chasing down tenants to pay their rent. 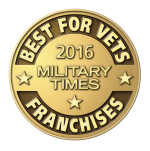 Put our experienced team and proven process to work for you. Even with careful tenant selection, tenant circumstances can change and legal action can become necessary. While smart property owners do all they can to avoid evictions with a careful and rigorous application process, too many of them learn the hard way that collections and evictions are inherently a part of doing business in this industry. Anyone can come across hard times so we encourage tenants to call us if they will have a rent payment problem. Depending on the tenant’s history and the property owner’s situation, we can help avoid the eviction process. 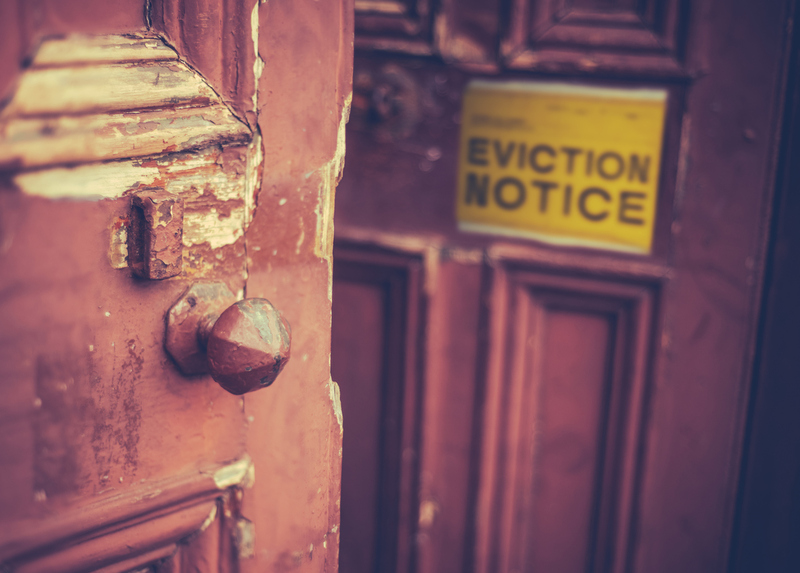 Evictions can take an emotional toll if not handled professionally. Evictions must be approached from a legal perspective and not as a personal matter. Plus, threatening tenants and or using unethical collection policies could lead to a lawsuit. It could also lead to further financial loss and damage to the home by an angry tenant. 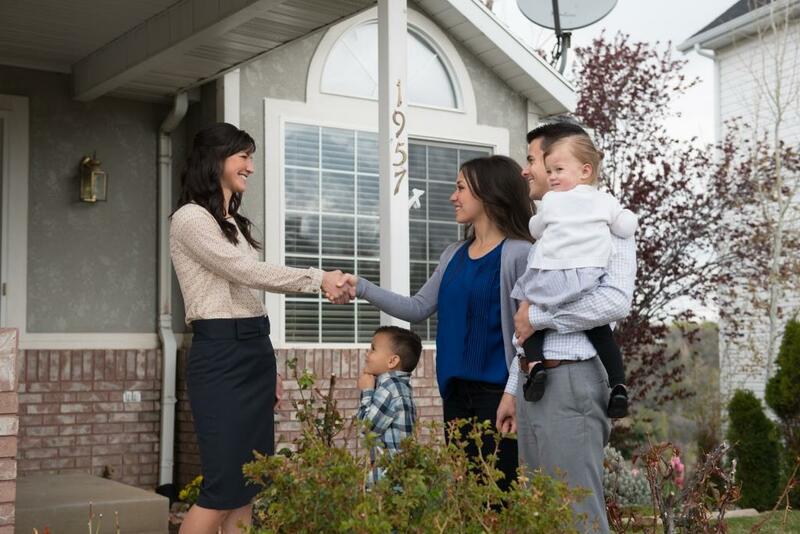 Our staff is extremely knowledgeable in state and local landlord and tenant laws. If a tenant does not pay rent on time or breaches the terms of the lease, we initiate the proper legal steps necessary, in the fastest possible timeframe, to minimize your costs and get the property leased again. Evictions are often unexpected, but they are always expensive. The average starting cost is $750.00. Standard court fees are just the beginning—a contested eviction can take months to resolve and requires additional legal actions that add to the costs. They can get even more costly if not handled in full compliance with local, state and federal laws. Mistakes can cause expensive delays and stiff financial penalties. To help our clients avoid the risk and financial strain of eviction, we offer a comprehensive Eviction Protection Program. This program is available for any tenant that a Real Property Management office places. For a very low monthly fee per property, we will pay the filing, legal fees and court costs in connection with an Unlawful Detainer Action. While this program does not cover a Writ of Possession or set-out costs if a tenant’s belongings must be forcibly removed, it substantially reduces financial risk—while increasing your peace of mind. Contact us today to learn more about how you can make your rental property investment more stable and reliable with our Eviction Protection Program. As the property management leader with over 30 years of experience, no one knows better how to protect property owners. Property management seems like a simple and straight-forward process. As you have learned, however, that is often not the case. The time and energy required to manage a rental property are often much more than anticipated, and the legal risks can loom large. For readers who are still unconvinced that professional property management makes sense, we challenge you to calculate the personal costs of self-managing. Add in a contingency of at least one hour a month for the unexpected problems that will inevitably occur over the course of a year. This will tell you how much it costs you to manage your rental property on your own. Keep in mind, that cost will rise dramatically should your property require repairs, or in the event of a natural disaster or eviction. Multiply this number by the value of your time, say $100,000 per year divided by 2,000 work hours or $50 per hour. Now, calculate how much a professional property manager would cost. The typical fee for a property manager varies by market, rental rates, and competitive conditions, but a reasonable estimate is 10% of monthly rent. If your rent is $1,250 (about average for a typical 3-bedroom single family residence), your monthly cost would be $125, and your annual cost would be $1,500. Returning to our example, the value of the property owner’s time was $3,000. If the property owner’s rent is close to the average $1,250 per month, the cost of self-managing is $1,500 higher than what a professional property manager would charge. It would make economic sense for the property owner to hire a professional to do the job for them. The IRS does not allow property owners to deduct their time as a property expense when filing income taxes. 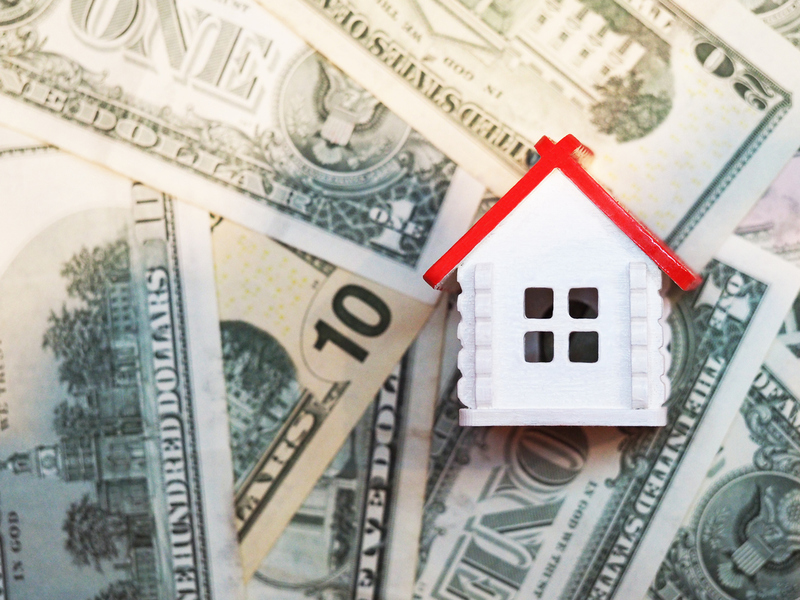 However, the IRS does consider professional property management fees as legitimate property business expenses. So, the after-tax cost of professional property management is actually less than the apparent cost, which depends on your tax rate. Now write down all the disruptions in your life that have occurred due to late rent, maintenance issues, problem tenants, vacancies or any other property management issue. Include how you, your child, partner, friend, family or boss would feel about your absence while you were away dealing with any of the above property management matters. Then, decide what makes sense for you. With a Real Property Management office handling your property, interruptions to your personal and professional life from your rental would virtually end. You’d never have to break a loved one’s heart by choosing your rental over them. Please consider hiring Real Property Management Alamo to manage your property. We love this business and would very much like the opportunity to work with you. Contact us online or call us at 210-787-3876 today!